Development of the Bf 109H high-altitude fighter started in 1943, being a progression from the F-series with increased wing span and the GM-l boosted DB 601E. Maximum speed was 466 mph (750 km/h) at 33,135 ft (10100 m). 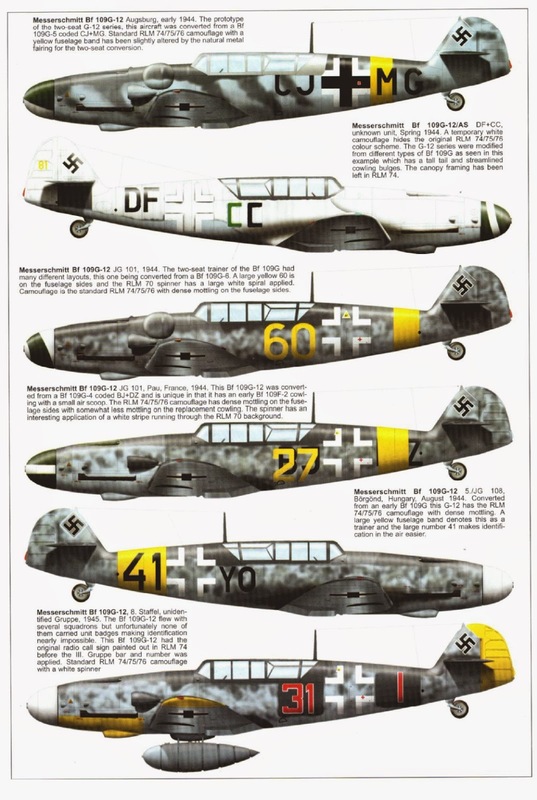 Pre-production aircraft were evaluated operationally in France and a few sorties were flown by production Bf 109H-1s, but wing flutter problems caused the H-series to be abandoned, although projects included the Bf 109H-2 with Jumo 213E, and the Bf 109H-5 with DB 605 engines. 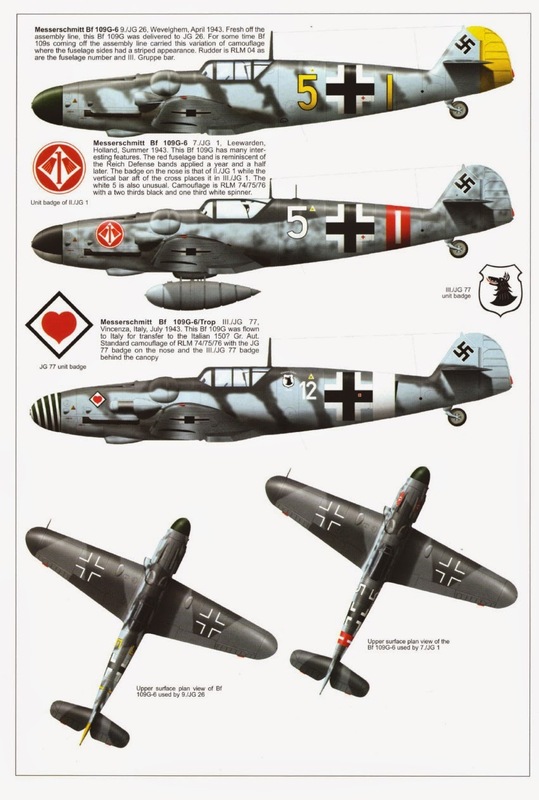 Last main operational version of the Bf 109 was the K-series, developed directly from the Gustav; indeed the Bf 109K-0 pre-production aircraft were converted G-series airframes. The Bf 109K-2 and Bf 109K-4 (pressurised) were powered by MW-50 boosted 2,000 hp (1492 kW) DB 605 ASCM/DCM engines and armed with one 30 mm MK 103 or MK 108 cannon and two 15 mm (0.59 in) MG 151 heavy machine-guns, and the Bf 109K-6 had provision for two underwing 30 mm MK 103s. Only two Bf 109K-14s (DB 605L with MW-50 and a top speed of 450 mph; 725 km/h) saw action before the end of the war, being delivered to Major Wilhelm Batz's Gruppenstab, II./JG 52, in April 1945. With the Focke-Wulf Fw 190 reaching full operational status only after two years of war, the Bf 109 provided the backbone of the Luftwaffe's fighter arm throughout World War II, with more than 30,000 examples produced (because of confusion caused by bombing of factories, an accurate production total could not be arrived at, but only the Russian Ilyushin Il-2 had a higher figure, with 36,163 models built), it was natural that experiments and projects abounded. For example, among the more bizarre trials were those conducted on Bf 109Es to carry a parachutist in an over-wing 'paracapsule'. 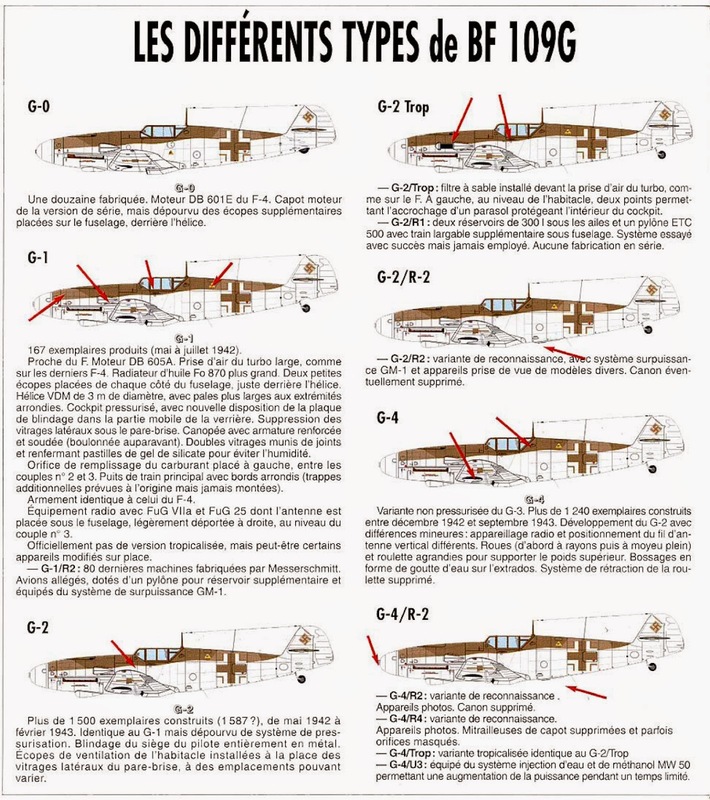 Another (in the Starr-Schlepp programme) involved the mounting of a Bf 109E on a DFS 230 troop-carrying glider as a means of delivering airborne forces; this experiment was followed later in the war by the well-known Beethoven- Gerät composite weapon system involving the use of Bf 109s and Fw 190s mounted atop unmanned Junkers Ju 88s loaded with explosives. 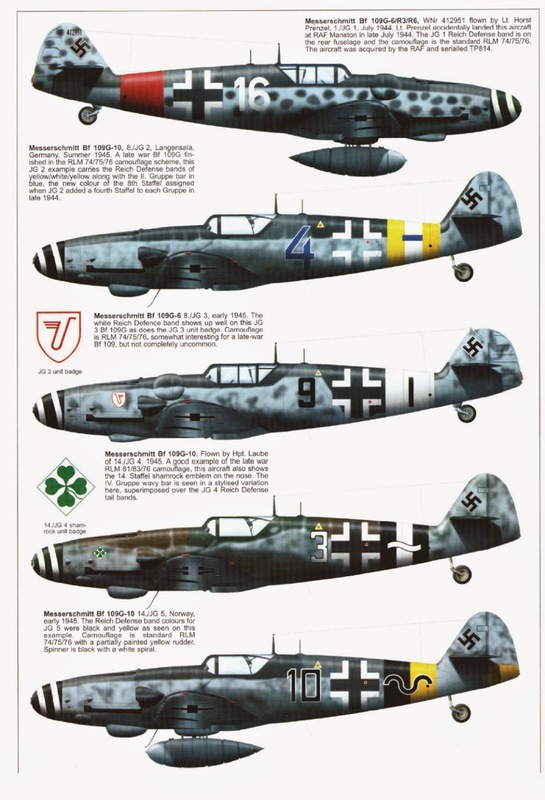 A number of radical operational tactics were pioneered by Bf 109 units, including the aerial bombing of American bomber formations with 551 lbs (250 kg) bombs dropped from Bf 109Gs (pioneered by JG 1 in 1943), and the use by JG 300 of day fighters for freelance night combat against night-bombers, known as Wilde Sau tactics. A development of the Emil was the Bf 109T (T - indicating Träger) carrier-borne fighter, intended for deployment aboard the German carrier Graf Zeppelin. Featuring folding long-span wings, arrester hook and catapult spools, 10 pre-production Bf 109T-0s and 60 Bf 109T-1s were produced between 1939 and 1941, but when the carrier's construction was finally abandoned most of these aircraft were delivered to the Luftwaffe for land-based operation. Perhaps the most ambitious of all projects was the Bf 109Z Zwilling, involving the union of two Bf 109F airframes and outer wing panels by means of new wing and tail sections; the pilot was to have been accommodated in the port fuselage and two versions were proposed, a Zerstorer with five 30 mm guns and a fighter-bomber with a 2,205 lbs (1000 kg) bombload. A prototype was built but this was never flown. 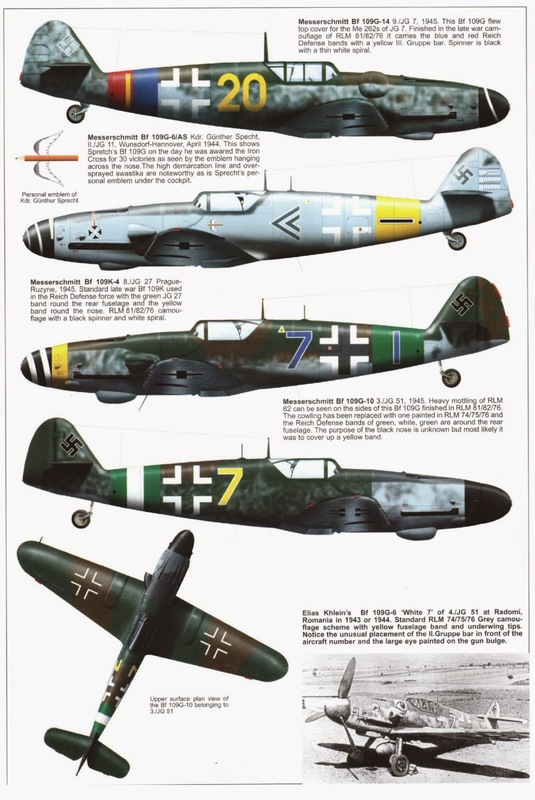 Bf 109s were supplied to numerous foreign air forces from 1939 onwards, and considerable licence-production of the 'Gustav' was undertaken by Avia at Prague and JAR at Brasov in Romania. The most successful of the foreign air arms with Bf 109s was the Finnish air force, its highest-scoring pilot, Lentomestari Eino Juutilainen, achieving 94 victories, of which 59 were scored in 'Gustavs'; he was the highest-scoring non-German/Austrian fighter pilot of all time and his aircraft were never once hit in combat. 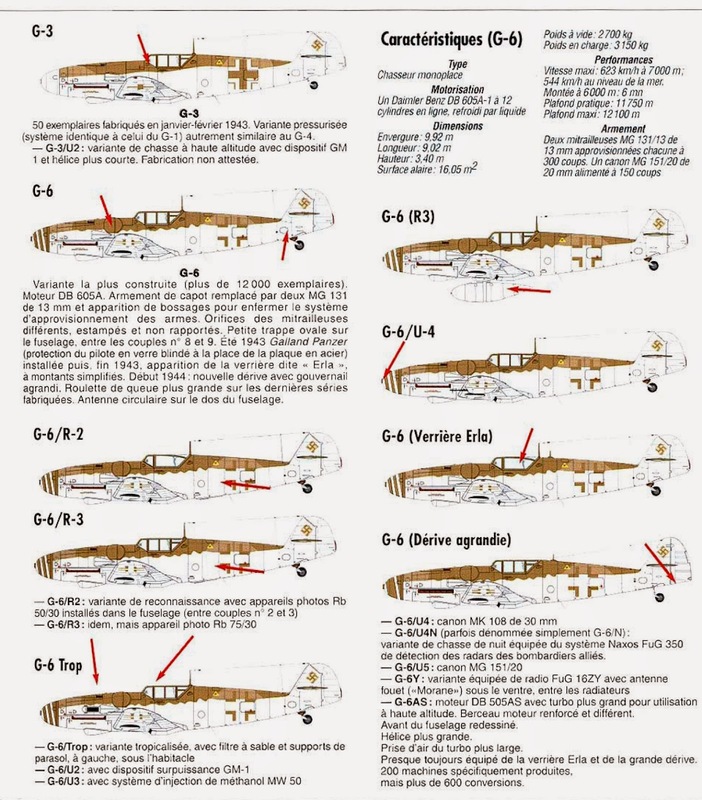 Spain undertook licence-assembly of the Bf 109 during and after World War II using the Hispano-Suiza 12-Z-89 and 12-Z-17 engines in German supplied airframes, and later the Rolls-Royce Merlin; these aircraft, termed Hispano HAS 1109-J1L, HA 1110-K1L (two-seater) and HA 1112-K1L, remained in service until the 1960s. Other post-war use of the Bf 109 included a number of C-199 Mezec or 'Mule' (Czech-built Jumo 211F-powered 'Gustavs') flown by Israel against the Egyptian air force in 1948. 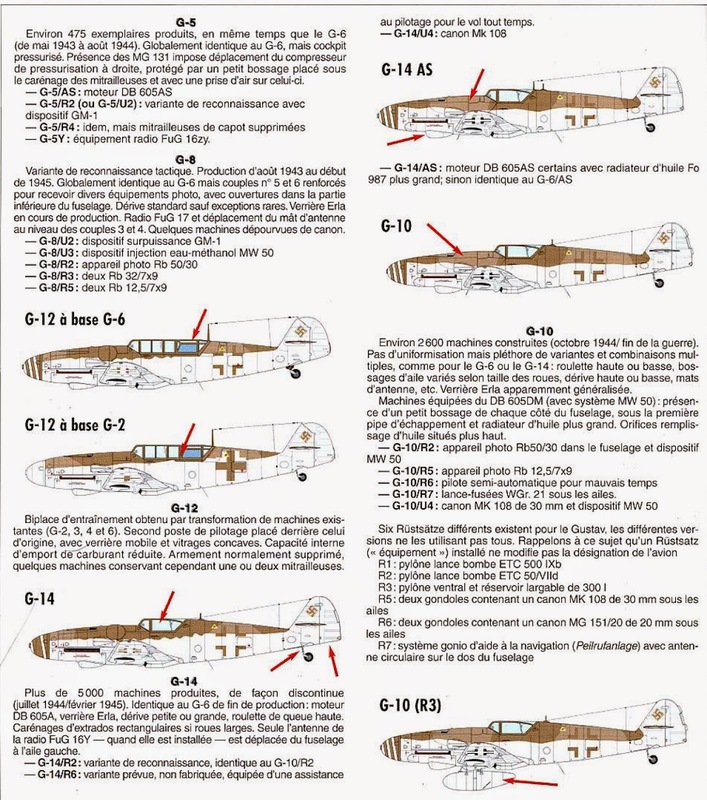 The Bf 109 was widely supplied to German satellite states in World War II, and was also used by neutral countries such as Spain and Switzerland. Total production is estimated at 35,000, making it one of the most numerous aircraft types of the war. Nicknames: Augsburg Eagle; Buchon "Pounter Pigeon" (HA-1112); Mezec "Mule" (Avia S-199); Anton (A-Model); Bertha (B-Model); Clara (C-Model); Dora (D-Model); Emil (E-Model); Fritz (F-Model); Gustav (G-Model); Beule/Bump (Bf-109G-1 Trop); Toni (T-Model).